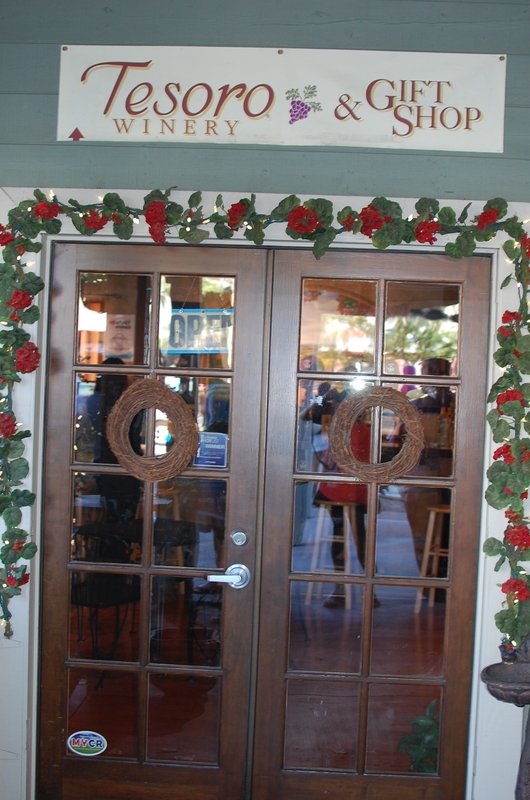 Tastings are fun inside Tesoro Winery & Vineyards. The wine stewards are very knowledgeable about their product and happily educate visitors while pouring some tasty reds and whites. The afternoon we visited the winery, Palumbo’s Ristorante had it’s bruschetta al prosciutto appetizer with a spear of caprese salad for visitors to experience. The small plate was so heavenly that it inspired us to experience a full meal at the restaurant on another visit. We joined Ron at a table on the charming Tesoro outdoor patio and watched a community concert band, Valley Winds, set up for Temecula’s Hot Summer Nights Entertainment. Later in the evening we listened to them play jazz, show tunes and band classics. Offered every Friday night in Old Town Temecula from August 5 to Labor Day, Hot Summer Nights brings in crowds from all over Southern California. Bands play on patios of restaurants, in parking lots and on special stages. Kids enjoy the music, face-painting and balloon artists. The family fun starts at 6 p.m. and ends around 10 p.m. Each week is different. 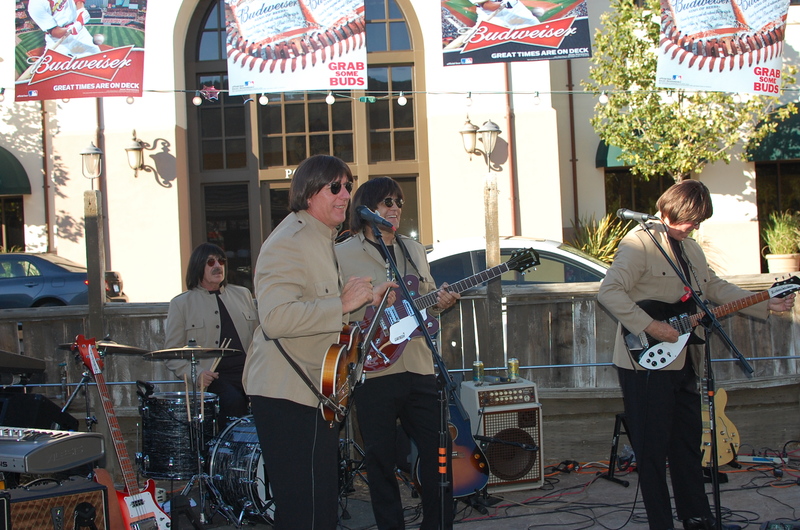 We enjoyed the Beatles tribute band, Silver Beatles while eating barbecue at Sweet Lumpy’s. Next to the Temecula Valley Cheese Comapay was the terrific light rock band, Guilty Conscience. The young singer is quite talented and could be our next American Idol. A musical duo attracted quite a crowd at the picturesque Villa di Calabro Wine & Olive Oil Company. While we tasted the most exotic and savory olive oils and zestful balsamic vinegars, the twosome played soft rock music. Out on their romantic back patio, we ate two yummy desserts prepared by Cafe Daniel. A terrific way to end a delightful epicurean evening. Palumbo’s Ristorante – 41925 5th Street, Suite 102, Temecula. (951)699-7925. Villa di Calabro Winery & Olive Oil Co. – (951) 695-4525.